I consider Philadelphia my city. I have never lived in it or attended school there, but I have worked there and have family that reside all throughout its various far-reaching sections. Some of these family members will even order a “wooter” when they go to a restaurant from time to time, so that’s all the justification I need to feel one with the city. Just over a month ago I moved to Philadelphia and was offered the opportunity to go through a “mural bus tour” through Drexel (my school). 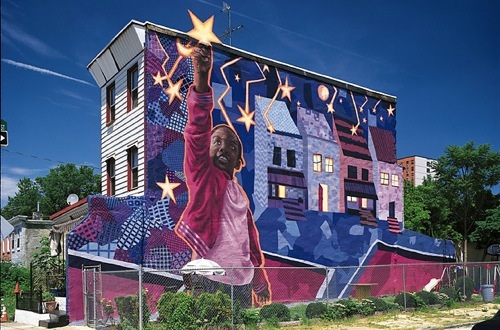 This bus tour is designed to acclimate new students not from the area to get a feel for what some of the underserved areas of Philly actually look like by using the many murals that dot the city as points of interest. As I’m sure many of you know, Philadelphia has the most murals of any city in the world. There was a presentation by a member of the Philadelphia Mural Arts Program to demonstrate how these filthy, crime-ridden intersections of seedy parts of the city can be transformed into magnificent centers for culture and the arts. Well that wasn’t exactly how it was presented but the mural projects were certainly framed in a way that made them seem as if they really could solve many of the problems plaguing these areas. The goal of the Mural Arts Program has many facets. Chief among them are to de-stigmatize mental illness and to advocate for at-risk people to seek help sooner rather than later, and to use the actual painting of the murals by ex-cons as a form of restorative justice that can bring them closer to their communities and ease them back into society. This is all well and good. Who wouldn’t want a city beautified by some of the area’s most talented artists that could turn an abandoned building into something awe-inspiring that can also have many beneficial side effects? But then I began to think. Even in the areas with the most murals, crime statistics have seen an increase in the last five years, more people are on food stamps, fewer students are enrolled in high schools despite a larger population, etc. In other words, things look bleak for those who don’t need any more bad news. In cities like Rio de Janeiro the government has similar art projects in their slums in order to mask how decrepit and miserable life is in these areas. Are murals simply putting lipstick on a pig? 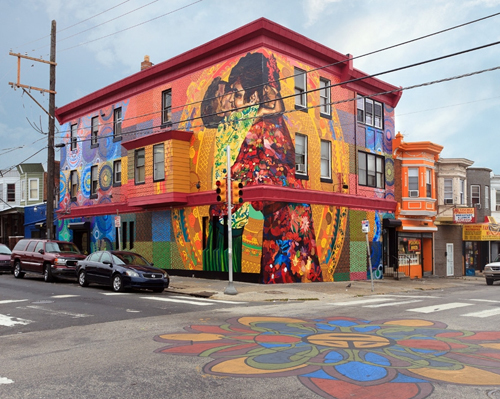 The Mural Arts Program was initially a component of the Philadelphia Anti-Graffiti Network. The Anti-Graffiti Network’s aim was to redirect graffiti artists towards creating murals rather than “destructive graffiti”. In a somewhat literal sense, the program was designed to cover up poverty and make the lives of those in the lowest socioeconomic strata somewhat more palatable by giving them something pretty to look at on their way to their minimum wage job (if they are so fortunate). In a sense, graffiti is an indication that the area has negative socioeconomic indicators and is more of a symptom of a failing system, not a cause of it. 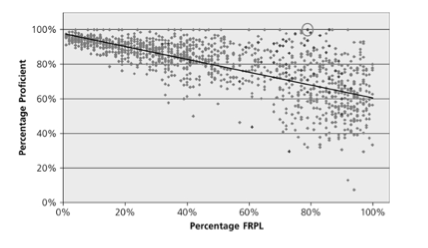 Does covering up the graffiti actually do anything to ameliorate these factors? Will it put food on the table, pay a medical bill, or put a roof over a family’s head? It seems that it may provide hope to some but in all likelihood it will not get at the root of the problem. We eventually got off the bus somewhere in North Philly to take a tour on foot of some of the current mural projects. As an African-American woman passed the throng of kids staring at a mural in progress, cynically and unprompted, she asked, “What is y’all doing here? You just gonna make us some more paintings, huh?” If this is a pervasive sentiment in Kensington, then it seems that the murals may end up doing more harm than good in the long run. Do these communities want their streets to be made beautiful so that they give the guise of economic self-sustainability, when in fact things are getting worse? Will the people in these areas end up being more resistant to outside help if it seems that it isn’t really help at all? While noble and perhaps just, murals do not attempt to eradicate the major factors contributing to the high incidence of mental disorders and gun violence. Perhaps the Mural Arts Program is only designed to be a safety net and to catch those that fall rather than prevent people from falling. I truly want to believe that the program is doing the most that it can to alleviate the issues that plague these communities. I am very interested to see the outcomes and conclusions of the Yale School of Medicine study of these programs, which is in the last of a 3-year study. If, for instance, the murder rate in the area of murals decreases does this mean that more murders are just happening a few blocks away? Correlation does not imply causation, because if murders are less likely to occur at intersections with a mural, then every city block in every major U.S. city should have them. Worst-case scenario is that not only do murals not contribute to fixing the underlying problems in these communities, but they divert resources away from other worthwhile community-building projects. Philadelphia is indeed my city and I truly want what’s best for its citizens. It may be a point of pride to proclaim us at the Mural Capital of the World, but it seems like a hollow title. Projects like the Mural Arts Program seem to implicate an air of “things are getting better”, and with a little more elbow grease we can turn this place around one street corner at a time. Perhaps their optimism should be applauded, but I am generally skeptical of programs that put all of their resources toward glossing over why a problem exists and instead focus on how to make it better after the fact. Not that programs like these aren’t necessary, but they should viewed in the light that they can help rehabilitate a community, but not get at the factors that drive a community to the point of collapse– mainly income inequality. I’ll leave you with some anecdotal evidence about how little the denizens of these impoverished street corners care about their murals.